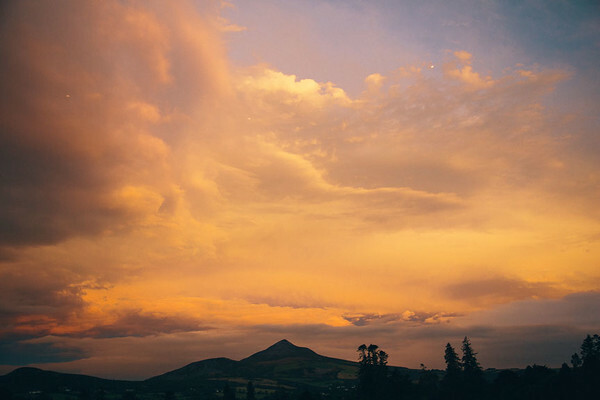 From a rainy day proposal to an uplifting wedding experience at Powerscourt! Brian and I met in work 6 years ago-you could say it was love at first sight! Tell is about the proposal! Brian proposed on St.Stephen’s day in Powerscourt-we had a lovely lunch in the Sugarloaf lounge looking out to what was a horrible dreary wet day! After lunch, Brian insisted we go for a walk…I knew something was up because no one would want to go for a walk on a day like that! We borrowed some umbrellas from reception and walked over to the golf course which is overlooked by Powerscourt House. 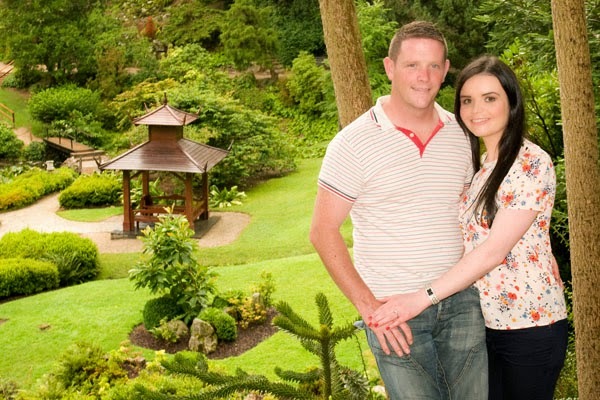 Brian got down on one knee and proposed in the rain in a deserted wet golf course! 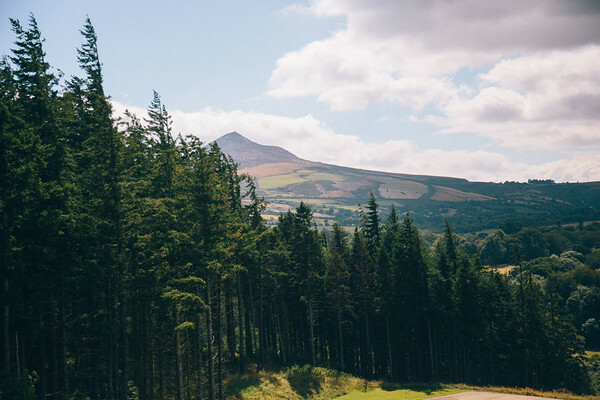 When choosing a venue it was an obvious choice to go back to Powerscourt…I had seen the ballroom of Powerscourt House on the internet but never in the flesh. We were shown around the venue by Conrad and immediately fell in love; it was the first and only venue we viewed. 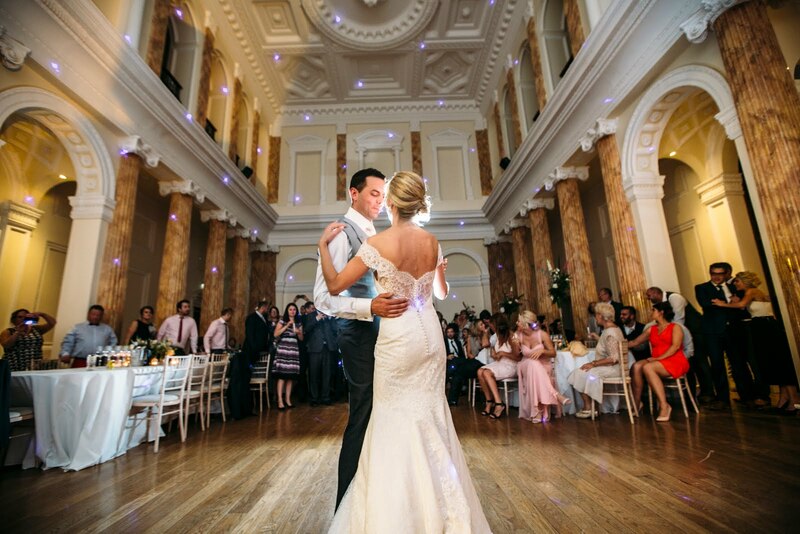 With 2 large reception rooms to choose from and the ballroom, there are some many options. The décor is so beautiful; the architecture and interiors really speak for themselves so there is no real requirement to add anything! 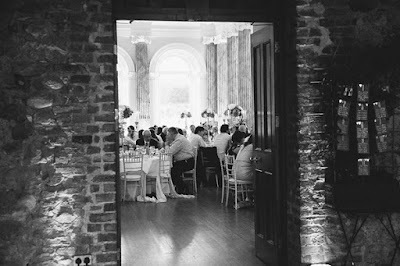 From start to finish, Conrad at Feast Catering and the hotel staff, in particular Siobhan and Carmel, were extremely helpful and accommodating for all of our questions and requests. We had a tasting with Conrad a few months prior to the wedding and it was truly divine, we knew we were in good hands. Brian and I, and both of our families, stayed in the hotel the night prior to the wedding-my room was enormous and was an ideal setting for getting ready in the morning of! We had our ceremony in a local church and upon arrival at the house, due to the nice weather on the day, had our drinks reception in the gardens. Everything had been organized so seamlessly that there was nothing to worry about. 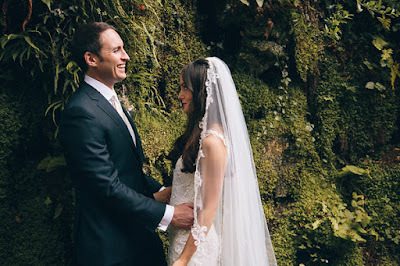 We had our photos taken in the remarkable grounds; the pictures are incredible! My favourite part of the day was the dinner and the speeches. All of our guests remarked on the day about at the quality of the food and the beautiful venue and are still commenting about it! My advice for couples getting married is to try to not stress too much about it, plan as far in advance as possible and put your trust in the expertise of the staff! 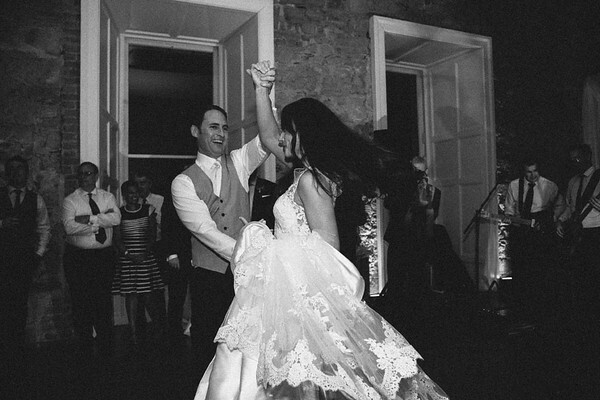 We can’t recommend Powerscourt House as a wedding venue more, I feel honored that we were able to host our reception there!